Ethan is an eleven-year-old who, due to his mother's illness, and his father's absence, is in charge of the household. He stumbles across a strange artifact while visiting one of his favorite getaways at the beach and finds himself transported to a different reality. Sam, the owner of the artifact and I-ART agent, someone who travels between realities to try to make his world better, tracks down Ethan to reclaim the artifact, known as a Dart. A series of adventures follow when other agents track down Sam, and Ethan, with his friend Jake, steal Sam's Dart and use it to try to influence another reality. Even though this is primarily a young adult scifi story, I did enjoy it very much. 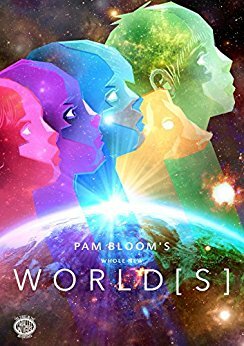 The description of other realities, or parallel worlds, was well done and is a good beginning scifi story of this sort for young teens. I look forward to reading more from this author, and will recommend her books to my grandchildren when they are old enough. ​This futuristic, dystopian novel opens with Lia awakening to find she has no memory of who she is. It turns out Lia is a mutated survivor of an alien plague infecting the earth, turning humans into raging monsters. Lia's mission becomes one of trying to save humanity, but goes horribly wrong. There are many unexpected twists and turns in this novel. It definitely kept me guessing and wanting to read more. My only complaint, and thus the 4 stars instead of 5, is the superhuman abilities the author gives Lia become, to me at least, too much. I had trouble believing such poser could be contained by a single person.Otherwise, I did enjoy the adventure and will look forward to reading more from this author. Not knowing any of the author's previous work, I took a chance on this book based on my love of scifi stories and the intriguing blurb on Audiobooks. I was not disappointed. This time travel story revolves around three powerful individuals. Ben Ryder, an insurance investigator with incredible natural instincts during a crisis, Safa Patel, the beautiful policewoman assigned to protect the British Prime Minister, and Harry Madden, hero of WWll. They learn that history says died, but were taken away moments before their death by a group of time travelers. Their mission is to save the future from Armageddon.. The characters are believable and engaging, and while the plot generally follows the old time-travel paradox of someone unwittingly drastically altering time, it does so in a unique and enjoyable way. The psychology of learning they had died, but are now in a different time, and recruited for a life-threatening mission, provides an interesting look into the shock of time travelling. I loved the humor of the characters, and the suspense the author keeps us in throughout.I definitely plan to order the second book in the series right away. 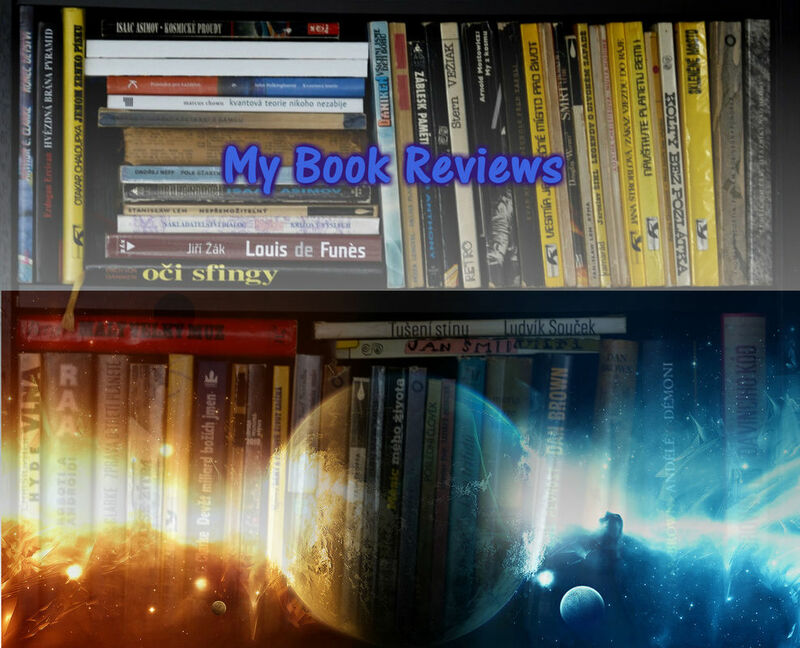 As part of my ongoing effort to reach out to science lovers everywhere, I decided to include my book reviews of science related, fiction and fact, as well as fantasy or other books I find worth while. I hope you find these reviews helpful. If you choose to read any of these books, please leave your own review for the author and future readers. Reviews do help sell books. Thank you. And don't forget to check out my own books on the "My Books" tab. ​A1 slowly awakens to memories of a long forgotten life. She finds herself, and her sister, B2, prisoners in what is apparently a research lab. After a fire destroys the lab, and their memories improve, they wake one morning to find themselves locked in an attack by someone named C.E.C.I.L., the former head of the research lab. I found this story intriguing. The author seems to want her readers to slowly awaken to what is happening, just as the two sisters become aware of their dire situation. This goes against all the conventions of grabbing your audience with something spectacular in the opening paragraphs, but it works. I found myself wondering if the next memory revelation would provide a vital clue to solve this mystery of why teh girls had become imprisoned and what was going on in the world outside. i look forward to reading the next book in this Escape series. ​Fantastic! A film noir science fiction detective mystery. I love the old film noir movies, and this story played beautifully in my mind with the stark, black and white film rolling in my imagination as I read the book. A classic detective story, set in New Orleans of the future. Detective Zach Forrest works the seedier district known as Easytown. The brothels now use mostly robots to satisfy the needs of the customers, but several grotesque murders have been committed and officer Forrest is assigned to track down the culprit. I was captured by this novel's gritty dialog and incredible description of the dark underside of New Orleans and its inhabitants.The author kept me guessing with a series of unexpected twists and red herrings until the very end. Well Done! I look forward to reading more by this author soon. ​Earth is colonizing new worlds. Construction at a location known as Three Craters has gone terribly wrong. Mining machinery is inexplicably breaking down, people are dying mysteriously. Kalen, a government investigator, is sent to discover what has happened. In this fascinating story, two completely separate factions occupy the same city, but only appear at opposite times where it is a criminal offense to appear outside after your appointed period. Both factions need to discover what is going on, but for two very different reasons. The characters in this scifi thriller are engaging, and well developed. The world they operate in is equally believable and intriguing. My only fault with this tale is that it ended before I was ready for it. I hope this is only the first of a series, because the climax still left me with many questions. Even so, I would still recommend this one for any lover of science fiction. In this 14 book series, a group of youths from a small farming community are rescued by a mysterious Aes Sedai and her warder from an attack on their village by powerful dark friends and the Forsaken, agents of the Dark One himself, the most powerful evil in the world, long thought to be imprisoned. I cannot believe I waited so long to read this incredible series! I have always heard how great it was and, frankly, was a bit skeptical of such high praise. Mea Culpa. I would say this series is second only to LOTR and The Hobbit, at least in my opinion. That is saying a lot because I have had a love affair with LOTR for decades. If you love vast worlds with multiple layers of complexity expanding with each new book, massive battles between the forces of good and evil fought with standard and magical weapons of epic proportions, all alongside stories of personal growth and struggle, coming to grips with destiny, and completely engaging and complex characters, this series is for you. ​Imagine a society where those who are injured and unable to work at full capacity, or individuals who are different in any way, even those who simply disagree publicly with the established government are sent away. Isolated is camps far from "normal society and labeled "subnormal". This is the world Stuart Kenyon has imagined. ​ The author has created a chilling story of a distopian Great Britain drugged insensible and under the rule of a twisted dictator determined to create her vision of a utopia society. Unfortunately for many, if you are injured, sick, or in any way not able to reach the government's definition of fully contributing to this new society, you are relegated to distant work camps and hidden from the rest. I was constantly aware of a chill running down my spine as many aspects of Kenyon's invention became far too similar to the real world of today. I can't wait to read the rest of this series. This is a somewhat chilling vision of the future of mankind. In an effort to catalog the story of the people headed off to a new world in a monstrous generational spaceship, Leyton Taymore quickly learns that all is not what it seems on board. His attempts to interview the workers is stymied and he soon learns the hidden plans of those in charge, including their plans for himself. I enjoyed this story and would recommend it to other lovers of distopian futures. Imagine that one day you are just an average joe, or Bob as in this case, and you wake up suddenly finding yourself over a hundred years in the future as a computer program scheduled to become an interstellar probe to explore extrasolar planets. Unfortunately, the world has divided into hopelessly oppositional factions and explodes into global war and you are mankind's best hope for survival. This is exactly what happens to the hero of incredible series. I have to say this is one of the most original, and entertaining scifi stories I have read in a long time. I loved the humor and intelligence within the sometimes deadly serious topics tackled in this tale. As Bob creates copies of himself he learns that minor variations or errors in each version have resulted in individual programs with a variety of nuanced differences in aspects of his original personality. How they interact with each other is wonderfully portrayed. 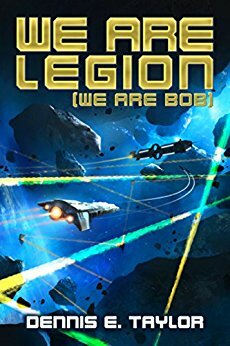 I have already purchased and am in process of reading the next two books of the Bobiverse series. This is one everyone should have in their library. Ace fighter pilot, Brooke Davis, is speeding through Jupiter’s orbit, dreaming of becoming the first human to fly faster than light. Instead she is drawn into a criminal conspiracy— involving terrorists, aliens, and the highest level of government, including her boss at the U.N. — that threatens not only her shot at history,but the future of the solar system. ​I was very impressed with this story, enough to buy the next book in the series as soon as I finished this one. Strong, even while flawed female characters are unfortunately difficult to come by. Mr. Spry does an outstanding job of providing his leading ladies with charisma and power, but still keeps them very human.Greg tells a wonderful tale of space travel, political intrigue, and personal drama with his characters. Well done!